You can get itchy skin anywhere on your body, including your chest. If you are suffering from an itch in chest, you may notice a few changes in the skin in the area. There may be bumps, spots, blisters, red patches, leathery texture, dry patches or cracks as well. But itchy skin doesn’t always appear abnormal. What causes it? Central heaters or air conditioners dry the air out. Too much bathing and washing can make your skin drier. Pregnancy can be a cause of dry skin. In some cases, it can be from kidney, liver or celiac disease. Thyroid problems and iron deficiency, or even cancer can be at the root of your dry skin. Many people don’t realize that anxiety can cause real, bodily reactions and it may be the cause of an itchy chest. Certain hormones can be released during anxiety attacks, and they may accelerate the heartbeat, raise blood pressure, cause itching sensations or twitching. This anxiety can even make the rashes worse. Anxiety may aggravate seborrheic dermatitis, psoriasis, and atopic dermatitis. Microbial infections are often caused from fungal infections. One of the most common fungi is ringworm. Luckily, ringworm is easy to identify. If the rash is itchy and oval, you likely have ringworm. It is often spread by kittens or puppies. A dermatologist visit can easily confirm one way or another. Like psoriasis, pityriasis rosea can afflict the skin and cause itching. You will generally see oval-shaped, raised, itchy patches of skin. There isn’t an effective medical treatment for it currently. It is usually harmless, though uncomfortable to the person afflicted. It tends to disappear in a couple of weeks. Runners commonly get heat rashes. This is because the increased heat, combined with the physical activity is perfect for causing a skin rash. 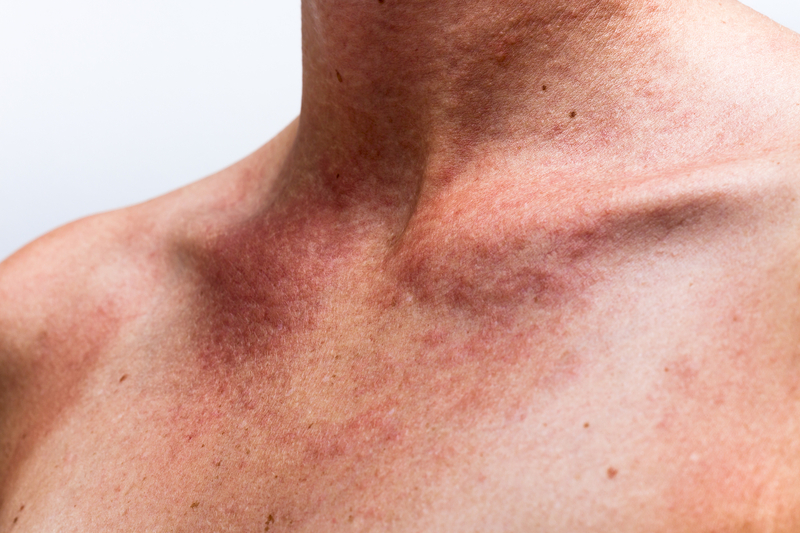 If sweat glands are blocked, the rash can be even worse and inflamed. Women will often see a heat rash under their breasts after a workout. Your doctor will want to understand what is behind your itchy skin before prescribing anything. Some topical ointments may be discussed. They may also prescribe oral medications. There are some therapists that will want you to use ultraviolet rays for treatment, or light therapy. Creams that are anti-itchy to help prevent scratching. You should also wear gloves at night and keep your nails cut short to help when scratching in your sleep. Stay away from known irritants. Anything you know bothers your skin, steer clear. Try to opt for personal care products that are dye and fragrance-free. Choose laundry detergents that are unscented. Pay attention to things such as jewelry that aggravates your skin, materials, aromas, etc. 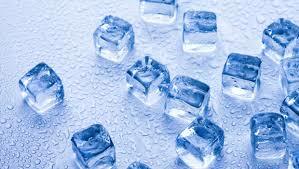 You can apply ice cubes gently to the area where you are irritated. This will often give instant relief and reduce inflammation as well as itching. Try to do this at least three or four times a day for the best relief. 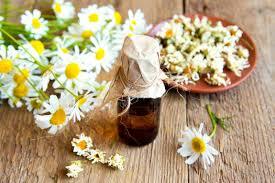 There are many oils with anti-inflammatory properties, and one commonly used is chamomile oil. It helps to calm nerves and can provide excellent results. The soothing properties are fast acting, providing soothing relief for itchy chest. 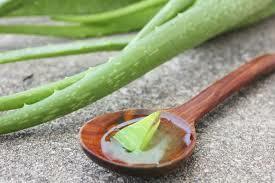 With anti-fungal, antibiotic, antiseptic and anti-inflammatory properties, aloe vera is a natural powerhouse. In addition to these benefits, it also soothes skin. You can apply the pulp directly from a plant on to the skin. Let set for about fifteen minutes and then rinse off. Repeat a few times a day for the best results. 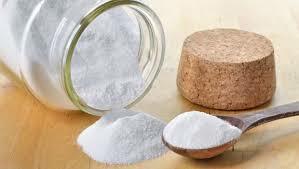 If you want to relieve itching and red skin, baking soda is your best friend. There are two main methods of using it. First you can make a paste from using a couple of tablespoons and a few drops of water. Apply this directly onto the itchy skin. Let this sit for about fifteen minutes and then rinse off. Do this a couple of times a day for the best results. Another way is to add a few tablespoons to your bath. Be careful to not bathe in water that is too warm, it can cause further irritation. This herb is strongly connected to treating depression and anxiety. If you think that anxiety may have something to do with your itch, this can be an excellent herb to add to your day. It’s best to speak with an herbalist before trying it. 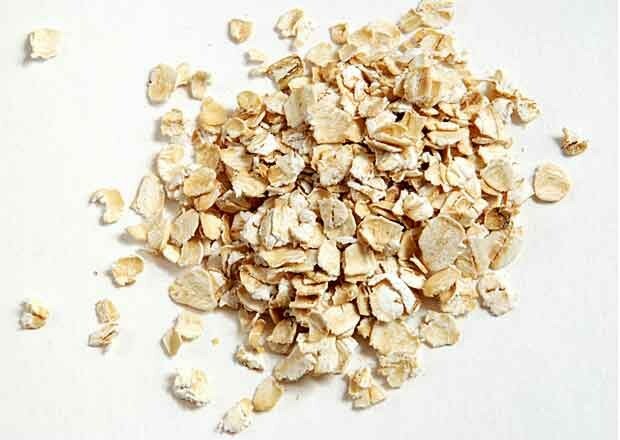 If you’re looking for something rich in anti-itch properties as well as anti-inflammatory elements, then get into an oatmeal bath and soak for 15 minutes. This can reduce irritation and help ease your rashes. Use this treatment repeatedly for a week for best results. With using some of the above remedies, you should be able to find some relief from your itch. It should be noted, that consulting with your physician is recommended.